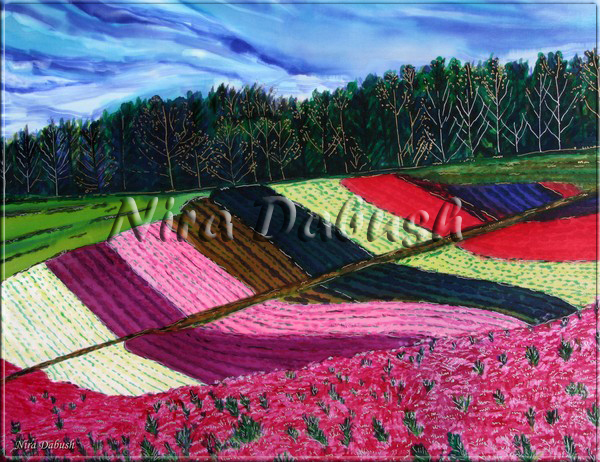 Field of Colour, inspired by unknown photographer. Paints on fabrics. 60CM X 80CM. 2010.